Mikveh Taharas Yisroel and Chabad House at Texas Medical Center sponsor Family Purity Meeting - Jewish Herald Voice; November 6, 2003, page 22 - Chabad Lubavitch Center - Texas Regional Hdqrtrs. A group of obstetricians, gynecologists, a perinatologist and a rabbi met recently to share ideas about Jewish laws of Family Purity as they are related to women’s health. On Sunday, October 26, Rabbi Sholom Ber Chaikin of Cleveland, Ohio – an internationally sought out resource for patients and their physicians – chaired this meeting bringing to light and clarifying the sensitivities and needs Jewish women may have when receiving medical care. (Seated) Perinatologist Dr. Karolina Adam, M.D. ; OB/GYNs Damla Dryden, M.Dd and Dr. Mark Gottesman, M.D. The objective of this meeting sponsored by Mikveh Taharas Yisroel and Chabad House at Texas Medical Center, was to create smoother medical experiences for patients and their physicians in a complete form of healing and consultation. Doctors Karolina Adam, perinatologist (maternal fetal medicine specialist), Damla Dryden and Mark Gottesman, obstetricians and gynecologists, who are all concerned physicians for their patients’ comfort and health, shared their observations and opinions on an array of subjects. “Seemingly routine examinations can now be addressed with more sensitivity by us and our offices”, remarks Dr. Mark Gottesman. “They now have more significance as we recognize the special implications these procedures have when involving observant women; it was truly enlightening”. The discussions varied from childbirth to infertility, along with more common medical procedures. Medical instruments were also on hand to ensure clarity and comprehension of the ideas discussed. Practical conclusions were reached to provide optimum medical care for women who adhere to the Torah’s principles of Jewish family life, the laws of Family Purity. The benefits of this meeting will be for those who already adhere to these laws, as well as patients seeking council from a medical perspective, about the experiences of keeping Family Purity and its effect and enhancement on one’s intimate life. This is only one of the many programs offered by the Chabad House at Texas Medical Center, serving the needs of the medical community for over 15 years. It also provide an array of assistance to patients and their families who visit the Texas Medical Center, including counseling, housing, kosher food and pastoral visitations. 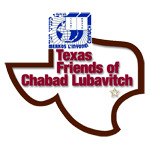 More information about Chabad House at Texas Medical Center can be obtained on their website at www.chabadtmc.org. The meeting followed a full day refresher seminar with Rabbi Chaikin in the laws and insights on Family Purity. 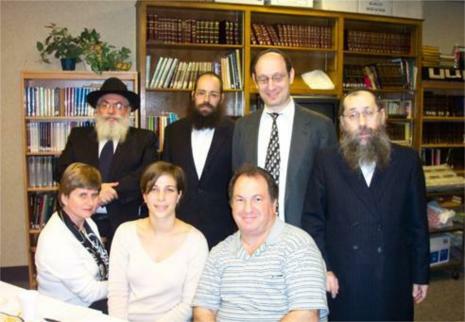 Rabbi Chaikin is a renowned expert in these laws directs and teaches the Machon L’Chassanim, a preparatory course for future married men, attracting hundreds of students from around the world. Community members who adhere to these laws had the privilege to review them in-depth with Rabbi Chaikin. To learn more about Family Purity, visit the Mikveh Taharas Yisroel website at www.mtyhouston.org..